NY: Bard Avon, 1958. Book. Good-. Paperback. First Bard Edition. 12mo - over 6¾" - 7¾" tall. 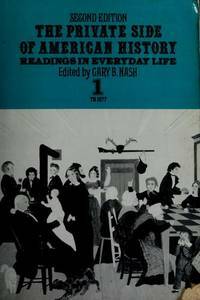 173pp, Pages yellowed, names on inside front cover and biographical page. Rear cover with small pits, front cover corner bent.. Terrorism & the Media. 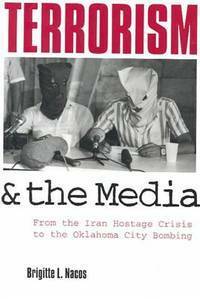 From the Iran Hostage Crisis to the Oklahoma City Bombing. NY: Columbia University Press, 1994. Book. Very Good+. Soft cover. 8vo - over 7¾" - 9¾" tall. 214pp. How terrorists exploit the media. No marks, no tears..
Santa Barbara, CA: Crest Publishers, 1992. Book. Very Good. Soft cover. Fourth Edition. 324pp, illustrated. Very Good. Paris, France: Librairie Garnier Freres Book. Good-. Hardcover. 360pp. Apparently printed in 1940 (?). Small hardcover with cracked hinges. In French. English grammar for French speakers. Good-. Philosophical Essays in Honor of Arthur Singer, Jr.
Freeport, NY: Books for Libraries Press, 1969. Book. Very Good. Hardcover. Reprint Edition. 377pp, 1969 reprint of 1942 original. No library markings or card pocket. Blue cloth. Some spotting on top edge. Very Good. NY: Barnes & Noble Books, 1974. Ex-Library. Good-. Hardcover. First Edition. 278pp. Fourteen essays by British and American philosophers on the achievements and philosophy of Bertrand Russell. Ex-library, with card pocket, library markings, cover labels. There is some pencil underlining and a few marginal notes. Good-. NY: Harcourt Brace Jovanovich, 1975. Book. Good+. Cloth. First Edition. 8vo - over 7¾" - 9¾" tall. 465pp, illustrated with black and white photos. Foreword by Charles Lindbergh. The store of a stone age people discovered in the Philippines. Green cloth with gilt spine lettering. Front DJ flap is wrinkled. Tight binding, no marks. Good+. Nancy M. Page and Richard E. Weaver, Jr.
NY: Quadrangle/New York Times Book Co., 1975. Ex-Library. Very Good-. Cloth. First Edition. 8vo - over 7¾" - 9¾" tall. 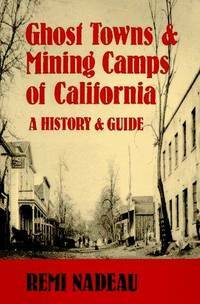 117pp, Illustrated with black & white photos and drawings. Common plants found in urban areas. Card pocket and library marks. No other marks. No tears..
Wiley, 1990. Book. As New. Stapled Wrappers. 4to - over 9¾" - 12" tall. 58pp, with diskette. In plastic wrapper. Unopened, unused..
New Directions, 1973. Book. Good+. Large Softcover. 11th Printing. 8vo - over 7¾" - 9¾" tall. 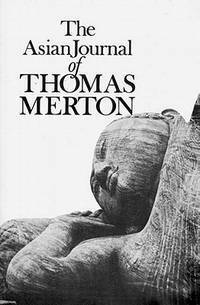 445pp, Merton's account of his Asian trip in the late 1960s. Some yellow highlighting. No tears..
Grand Rapids, MI: Zondervan, 1971. Book. Very Good-. Cloth. 8th Printing. 8vo - over 7¾" - 9¾" tall. 278pp. Discusses, describes, and recommends treatment for a number of psychological problems, including addiction, bedwetting, depression, impotence, skin disorders, sleep disturbances, and more. Yellow cloth. Very Good-. Washington DC: NASA, 1978. Book. Very Good+. Paper Cover. First Edition. 4to - over 9¾" - 12" tall. 128pp, plus appendices. An overview of the operations framework for the Space Station. Illustrated with detailed color charts and flow diagrams. Foldout charts. No marks or tears..
Washington DC: NASA, Office of Exploration, 1988. Book. Very Good+. Paper Cover. 4to - over 9¾" - 12" tall. 51pp, Illustrated in color. Annual report to the Administrator. A description of work accomplished in developing the knowledge base that will permit informed recommendations and decision on space exploration in the 21st century. No marks or tears..
Washington DC: NASA, 1986. Book. Very Good+. Paper Cover. 8vo - over 7¾" - 9¾" tall. 396pp, The 18th volume in a series of chronological digests of principal events in astronautics and aeronautics. Covering the year 1978. No marks or tears..
NY: Harcourt, Brace, Jovanovich, 1975. Book. Very Good+. Soft cover. Second Edition. 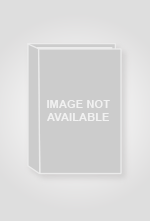 2 volumes: Vol. 1:445pp, Volume II:424pp. Very Good+. NY: Little, Brown, 1964. Book. Very Good. Cloth. First Edition. 8vo - over 7¾" - 9¾" tall. 108pp, 1964. First Editon stated. Cloth hardcover with intact dustjacket protected in mylar. No marks or tears. A nice coy..
Oak Park, IL: Moore Publishing Co., 1978. Book. Very Good+. Soft cover. 8vo - over 7¾" - 9¾" tall. 362pp, Essays on management, organization, and supervision. No marks..
Ann Arbor, MI: The University of Michigan Press, 1989. Book. Very Good. Cloth. First Edition. 8vo - over 7¾" - 9¾" tall. 248pp, Hardcover with intact dustjacket. Underlining on 2 pages, several Bibliography items are checkmarked. Still a nice copy..
Nathan Pritikin and Patrick M. McGrady, Jr.
NY: Grosset & Dunlap, 1979. Book. Good. Cloth. 8vo - over 7¾" - 9¾" tall. 425pp. Everything you need to know to make this diet-exercise health plan work for you. Also contains over 300 special recipes. Black cloth. Good. NY: Harcourt Brace & Jovanovich, 1992. Book. Very Good+. Quarter-cloth. First Edition. 8vo - over 7¾" - 9¾" tall. 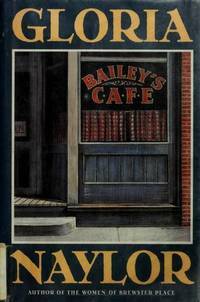 229pp, Strange characters come to Bailey's Cafe. A very nice first edition with no marks or tears..